Day 3 is almost in the books, which means the conference is almost at an end. Sad, but I’m looking forward to heading back and sharing themes and ideas from the conference with my colleagues. On my agenda for tonight is a “Super Secret Screening” at the Alamo Drafthouse Ritz. I’m sure it will be an EDU documentary, but I’m holding out hope for a screening of the new Godzilla movie complete with a Bryan Cranston Q & A. You never know! 1. 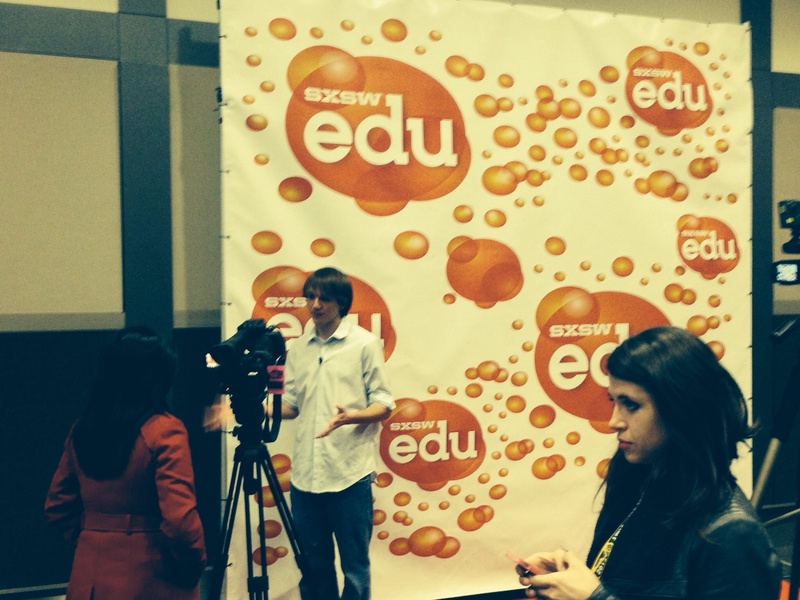 I attended a featured session entitled, “The Virtual Human Right” by Jack Andraka. Jack’s a student scientist who developed a super cheap and WAY more effective way to screen for pancreatic cancer – you may have seen his TED Talk. Jack is also crusading for more open-access to scientific journals so more people have access to innovation (let’s even the innovation playing field! This is one of J.J. Abrams’s TED Talk messages, too). It’s quite the cool message – Jack also pushes for more student choice in learning, and for students to investigate the issues that matter to them in a more hands-on way. (He told a story how he got busted in high school science class for doing his pancreatic cancer research in school. Yes, he was punished for learning and trying to DETECT CANCER. Unreal). I just started a TED-Ed Club at my school, and the goal of the club is for students to follow their passions and create content and TED-like presentations that matter to them. It’s going to be awesome – Jack’s TED Talk will be a centerpiece of what we’re trying to encourage in the club, and my students should be psyched that I got a picture with him. I also filmed a short video of Jack’s advice to middle school students – check that out by clicking here. 2. Someone Tweeted yesterday to try and have a “serendipitous moment” at SXSW, and by definition it’s hard to plan those…but I kept my eyes open. 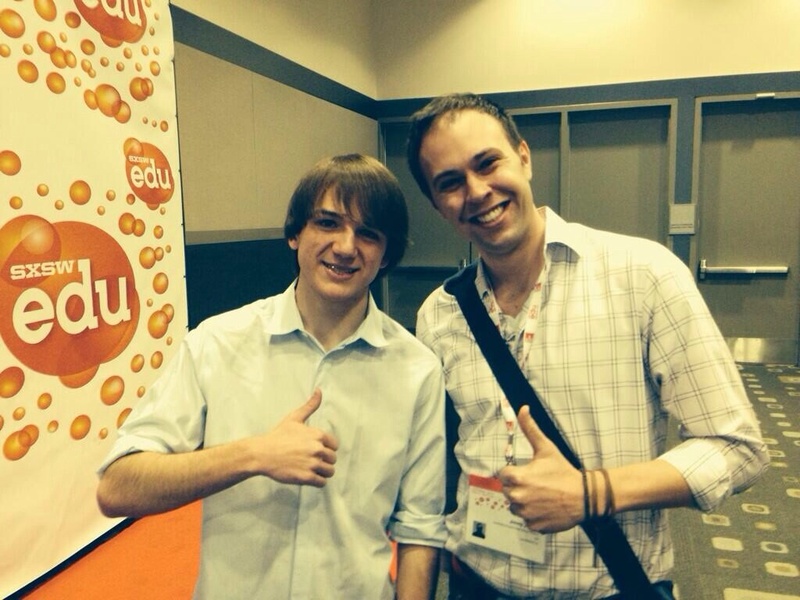 I ran into a guy I met on the first day, and we talked about how presentations that included educators or students were always FAR better than just company reps. So it was cool to touch base with him again. Note: if you ever come here (and you’re an educator), make sure to hit up sessions that include people involved in education. You’ll be happy you did. Speaking with the Buncee folks yesterday may have been serendipitous – I was just looking for a sweet trinket to bring home to my wife, and I met some really cool people. And then one of my colleagues emailed me this morning about if I had any digital storytelling ideas for a project, and it turns out Buncee will be perfect. The serendipity gods have smiled upon us! And of course, sticking around to meet Jack was kind of serendipitous. It will certainly inspire my students when I tell them the story…at least I think it should! 3. I saw some cool EdTech startups at the LAUNCHedu final round, including a STEM curriculum based entirely around robots, a better college matching tool and a site that monitors students for cheating when taking online exams. I am predicting a robot victory tonight when they announce the winner. Let’s just hope they never become sentient…what year did Skynet go online? 4. I’m jazzed to reconnect with people on Twitter following the conference – there are a LOT of creative and innovative minds here, and I’m looking forward to reaping the benefits of these forward thinkers. 5. Best piece of advice today? “In general, we want the teachers to act more like the student, and the student to act more like the teacher.” It’s a great and simplified point that’s often easy to forget. We don’t need teachers to be Instragramming and Snapchatting (if you do, that’s cool! ), but we need to ask why students do these things all the time. And to me, it’s because sharing and communicating is at the essence of a kid’s life. Teachers should be modeling this type of “sharing and communicating” behavior, professionally in a PLN and in the classroom with the students. Allow students the avenues to share and communicate their meaningful work with one another, and learn along with the students. Let the students drive the conversations in class – and if you don’t know the answer, that’s fine. But we shouldn’t be denying students the opportunities to ask these meaningful questions. Let them discover, and let the students teach each other. And you! And finally, one other Twitter and conference tidbit: If the questions you ask in class can be answered by a Google search, you aren’t asking good questions. 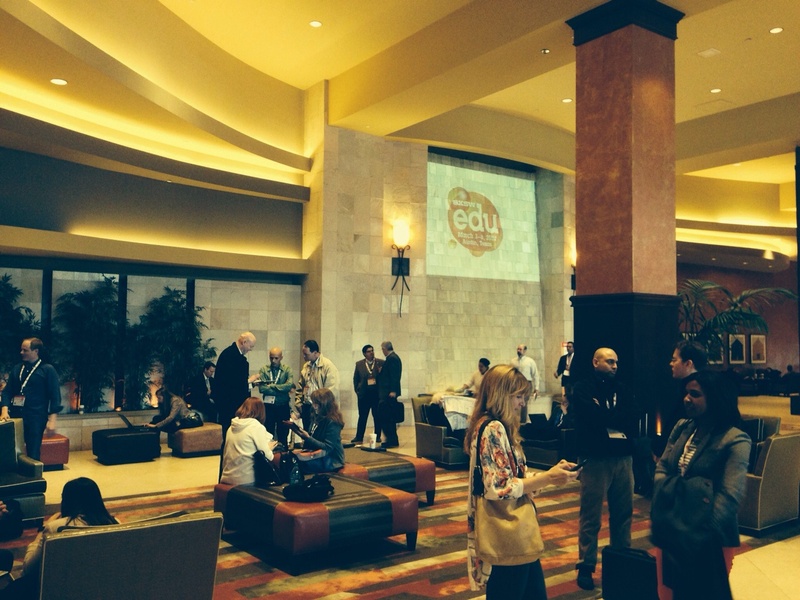 Previous Post SXSWedu Day 2 Recap! 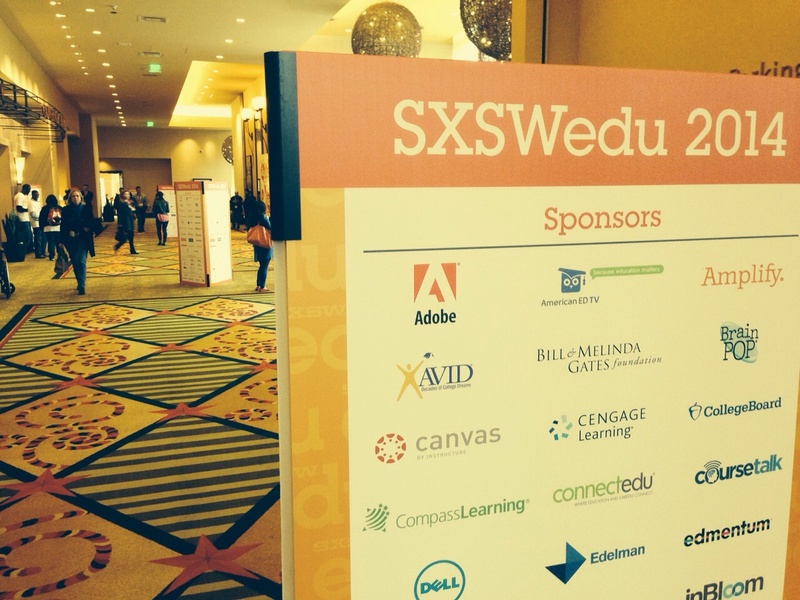 Next Post SXSWedu Day 4 Recap!